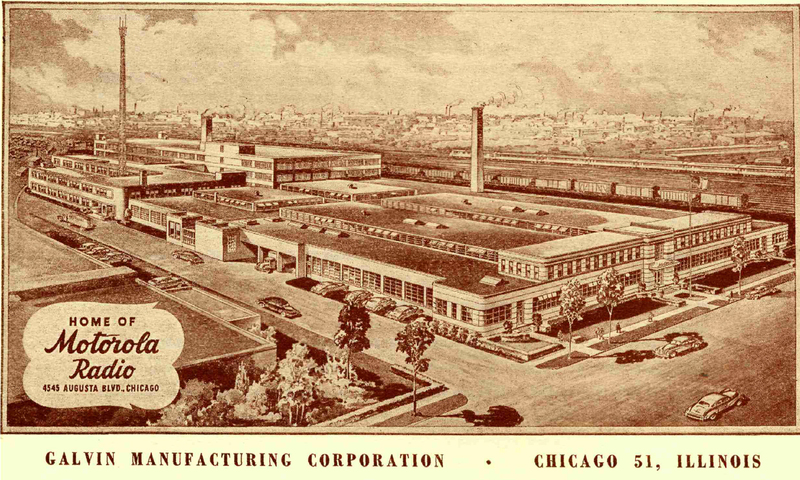 Celebrating 125 years of manufacturing in Chicago. It was over 125 years ago when Hyman Freedman began making seat cushions for horse-drawn buggies. 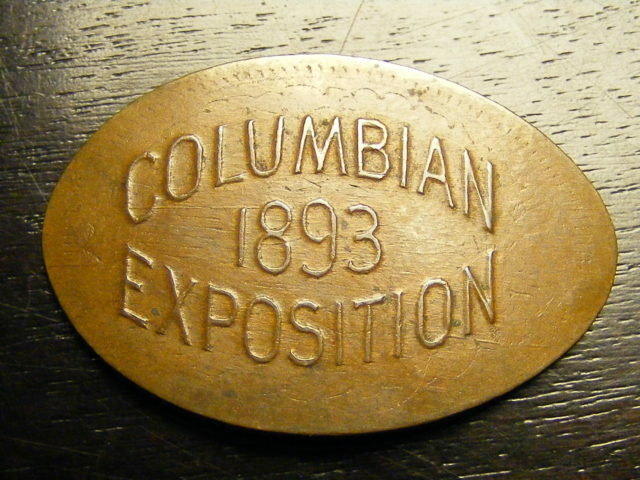 He knew his craft well and alongside his employer, Columbia Cab Company, exhibited at the 1893 World’s Columbian Exposition in Chicago. 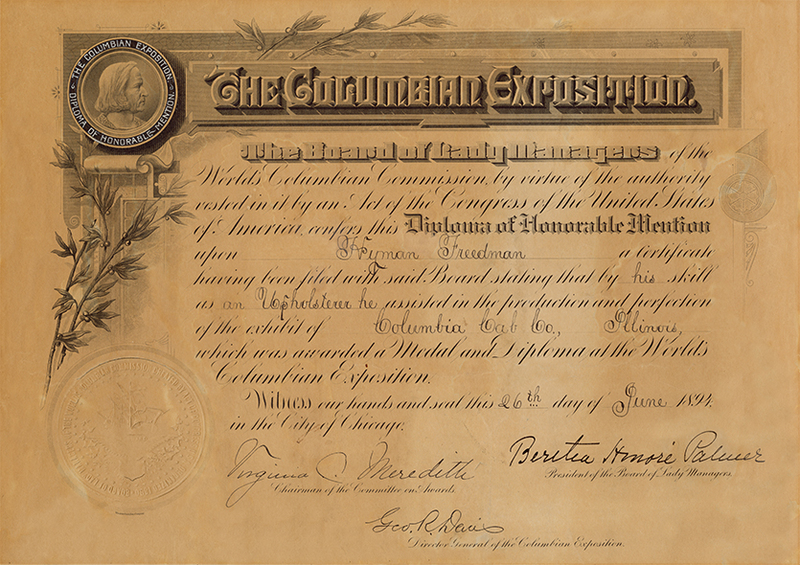 On June 26, 1894, Mr. Freedman was awarded a diploma of honorable mention for his upholstery skills at the event. Over a century later, the tradition of quality work continues. 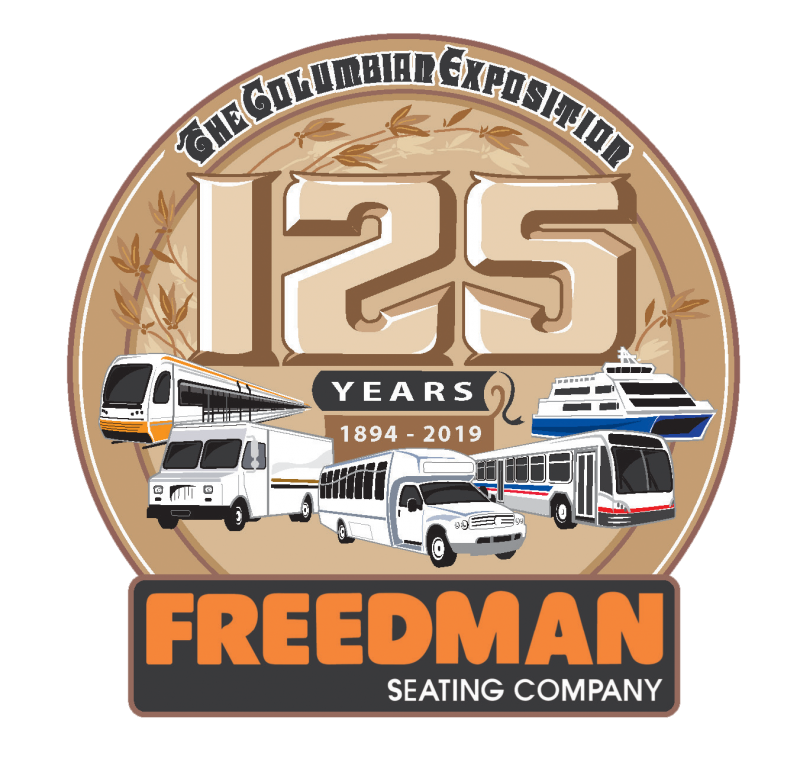 Freedman Seating Company is a family owned-and-operated business committed to meeting the highest standards in the industry. Today, FSC employs over 900 people and is one of the world’s largest specialty seating manufacturers. 2019 is a year to celebrate manufacturing, transportation, small business and the thousands of men and women who have worked with the Freedman family over the last 125 years. Interested in a group tour of Freedman Seating’s manufacturing facility? Contact JP Paonessa. Hyman Freedman exhibits in the Transportation Building alongside employer, Columbia Cab Company. 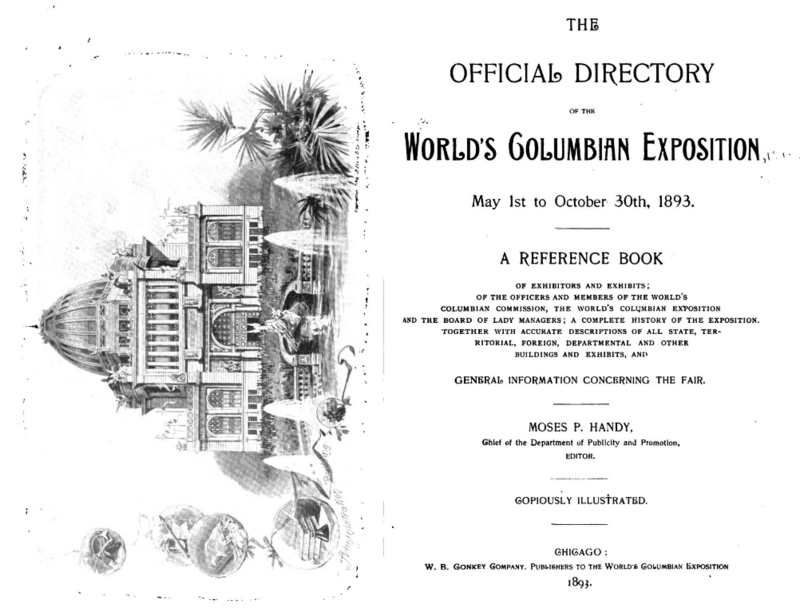 Hyman Freedman receives an honorable mention for his upholstery skills at the 1893 World’s Columbian Exposition in Chicago. 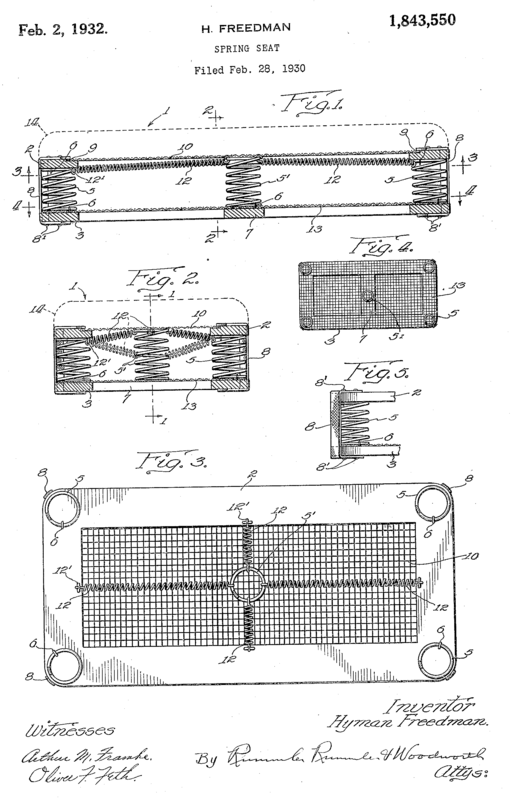 Hyman Freedman receives first patent (1843550) for spring seats. 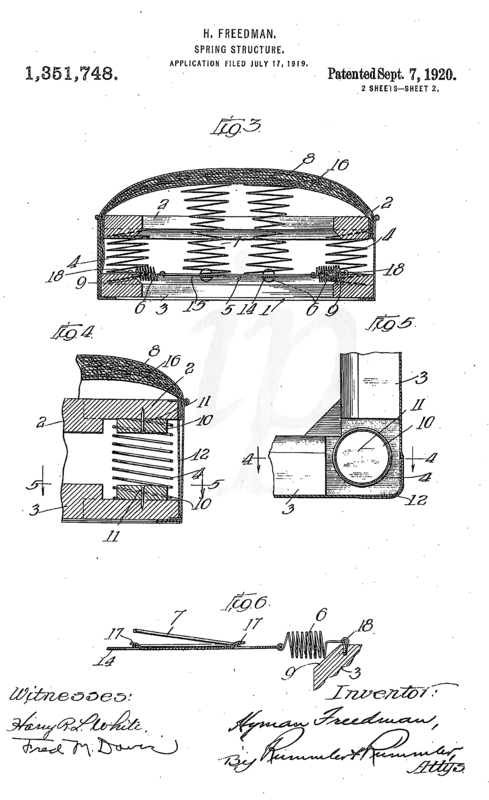 The Skee-Whee was a unique concept. 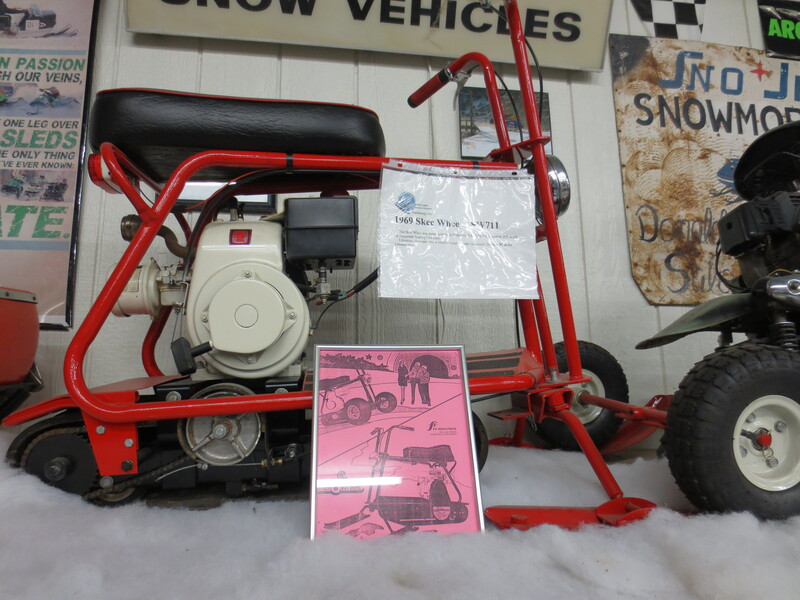 In place of a rear wheel drive, the bike is propelled by a track system (similar to the snowmobile) that moves the vehicle over most any terrain, light snow, sand, or grass. Move to 4545 W. Augusta Blvd. Freedman Seating Company moves to a new 350,000 sq. ft. factory and and office space on the west-side of Chicago. The famous building was once home to Motorola and the invention of the 2-way radio. 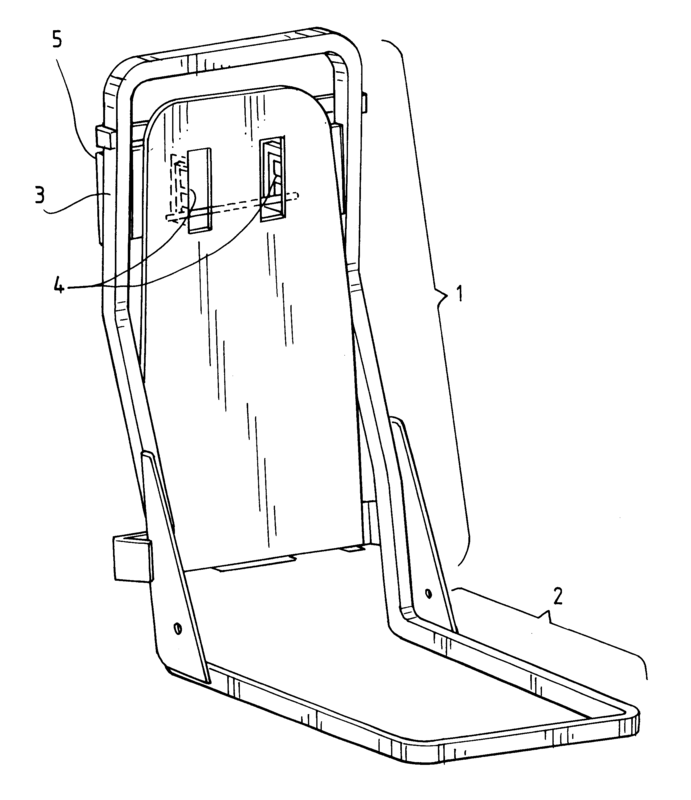 Gerald Freedman receives patent (6398302) for adjustable child seat. 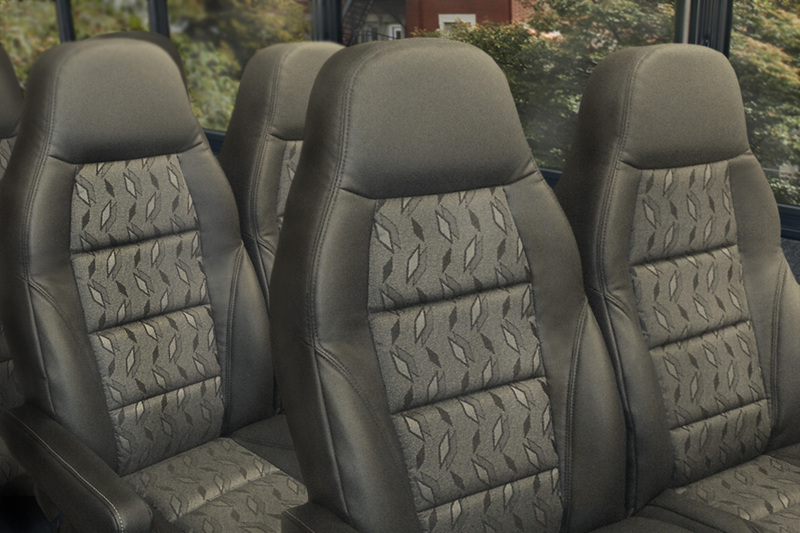 A joint venture with USSC Group to offering seating solutions for all sectors of public and commercial transportation throughout the US and Canada. Freedman Seating Company purchases the assets of Braun Seating, The new company, Freedman Mobility Seating (FMS), produces seats for the mobility van market, as well as high line seating for the small and mid-sized bus market. 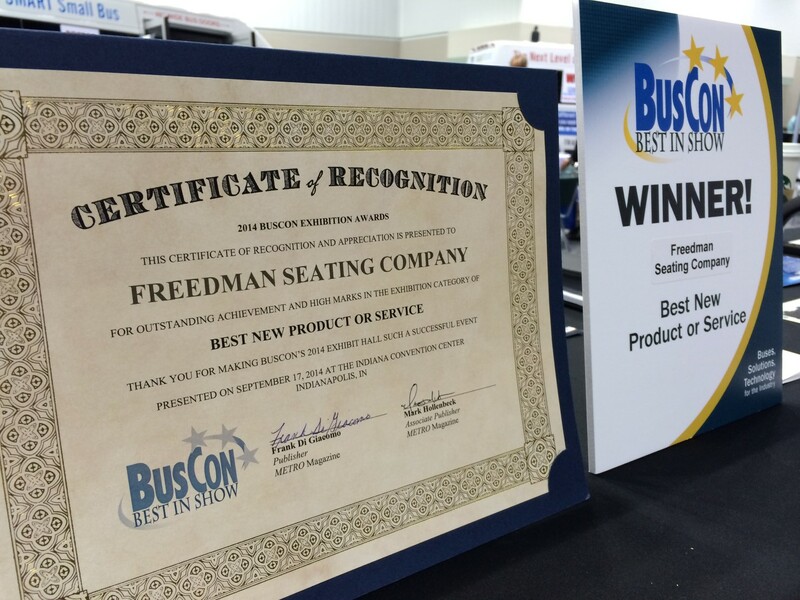 Freedman Seating was honored to accept the award for “Best New Product or Service” for the Eleganza Collection by FMS Seating. The new line of executive seating offers three distinctive seats with impeccable comfort and style: the Napoli, the Bellagio, and newest edition, the Trieste. 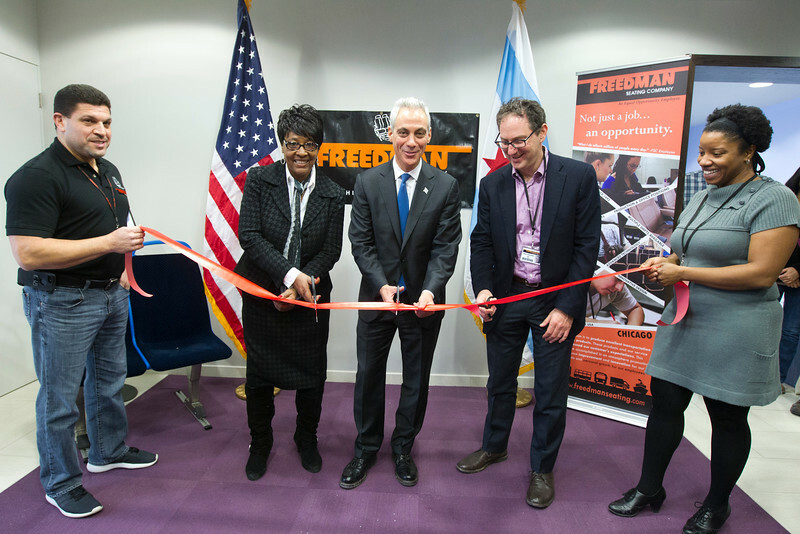 Craig Freedman is joined by Mayor Rahm Emanuel and Alderman Emma Mitts as we open our new Engineering and Purchasing Offices, part of a $10 Million expansion project resulting in an additional 200 jobs over the last two years. 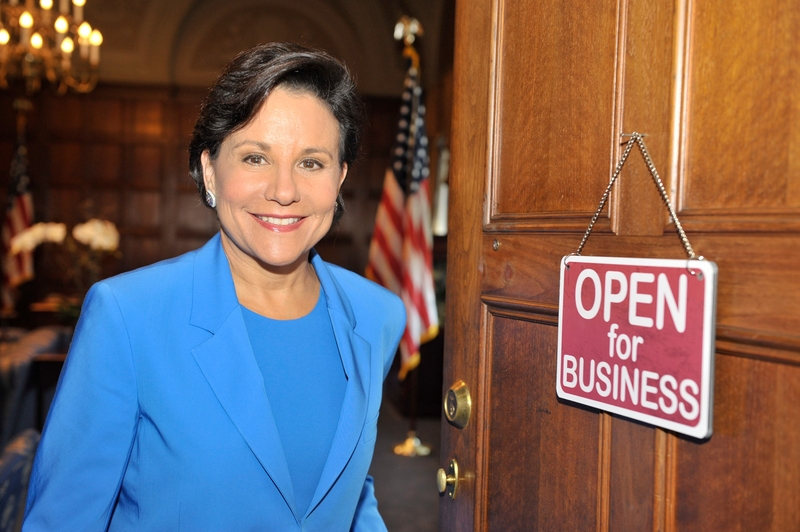 Comprised of 30 private sector leaders selected for their expertise and industry perspectives, the Council advises the Commerce secretary on policies to strengthen the manufacturing economy and create jobs. Barnes & Thornburg LLP sponsored its 6th Annual “Celebration of Diversity” reception and dinner honoring diversity trailblazers. 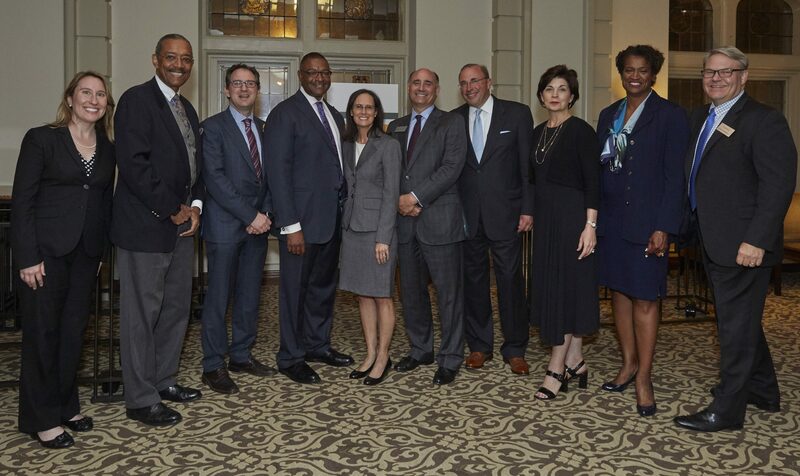 Cook County Commissioner Richard R. Boykin (1st District) invited Craig Freedman, President, to be an honoree at this year’s celebration held at the University Club of Chicago. 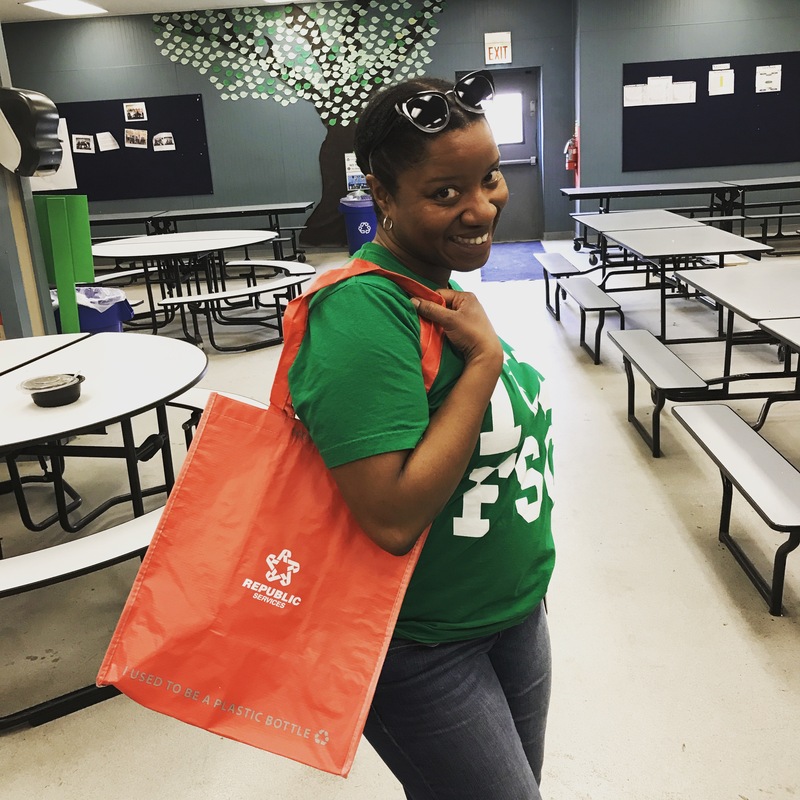 We are committed to the long-term well-being of our employees. 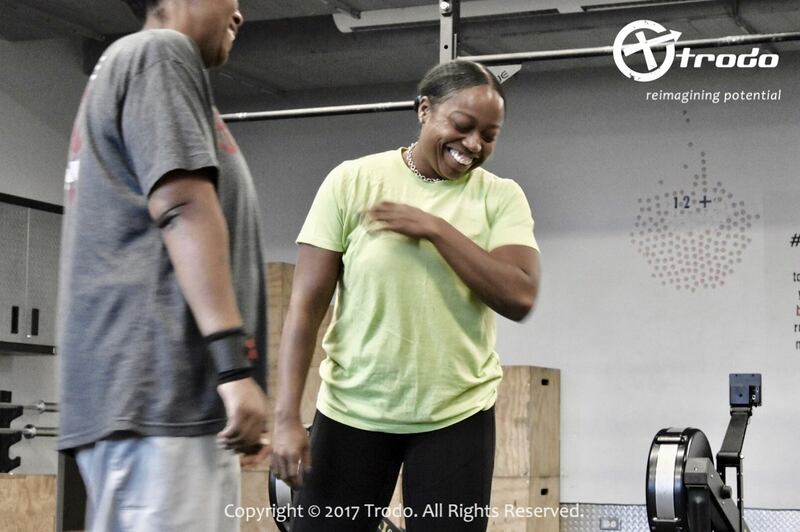 Partnering with Trodo, we are elevating employee potential through individual and team development, and group-based functional fitness programming. 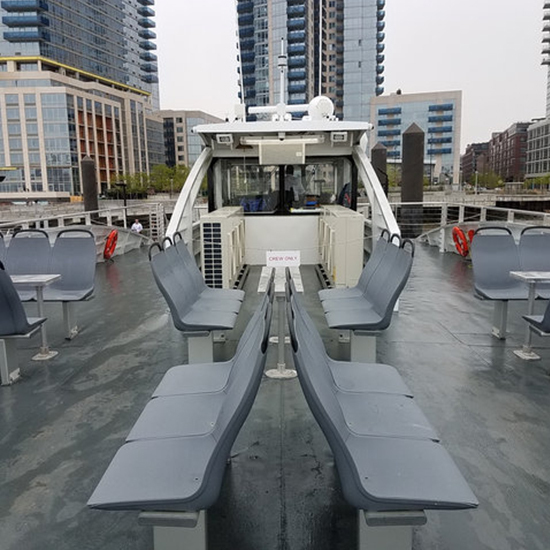 Freedman Seating was awarded the New York Citywide Ferry Service Project, which will include Freedman’s Gemini seat throughout its 19 vessels. The new vessels built by Metal Shark and Horizon Shipbuilding will carry an estimated 4.6 million passenger trips per year. Freedman Seating Company is committed to managing the environmental impact of our operations. It is our policy to assure the environmental integrity and sustainability of our processes and facilities at all times. 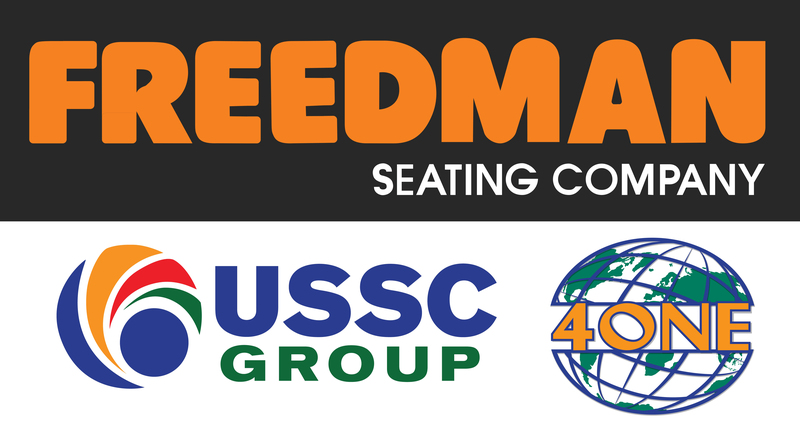 In conjunction with the sale, USSC and Freedman Seating have entered into a long-term manufacturing agreement. The #TransitUSA tour, featuring Freedman seats and other products made in America, kicked off on January 30th making its way to bus dealers, operators, manufacturers and trade shows spanning 40 states. 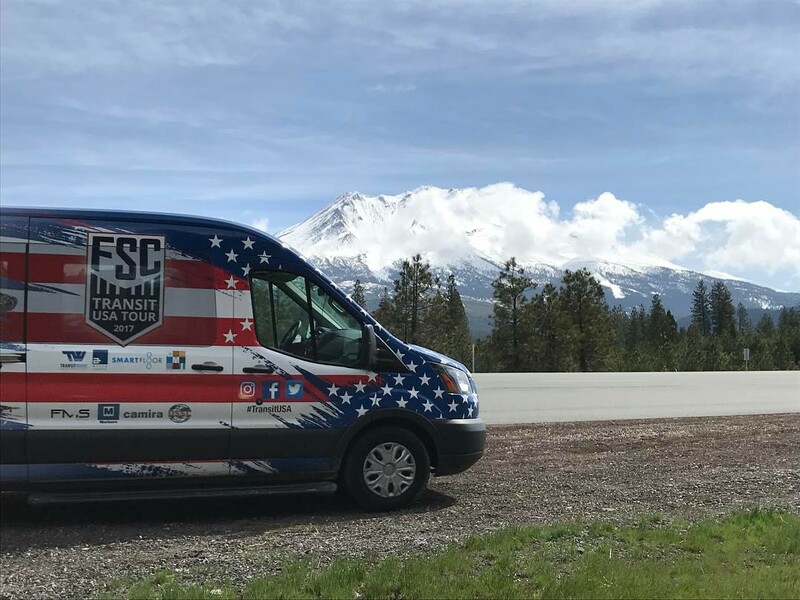 FSC sales managers drove over 35,000 miles in a 2017 Ford Transit 350. First 350-Passenger Boat Joins NYC Ferry Fleet in New York Harbor.